Stuffed crust pizza is a well-known take on the classic Italian meal. Cheese stuffed burgers however? That was a new one for me. Known as Jucy Lucy burgers, they are a twist on the classic American comfort food, with cheese sandwiched between two thin burger patties. With summer well and truly upon us, it’s time to look at another interesting side dish for al fresco cooking and dining. We’d had delicious mac ‘n’ cheese a few times in the USA, so my wife tried to replicate it at home. She excelled herself (as usual), this classic crispy mac ‘n’ cheese beats any we had on t’other side of pond. A food blog can live or die on the quality of the photographs. A blogger could invent the most creative, heavenly meal on the planet, but an out of focus, badly lit shot won’t entice readers in. So I’ve used some simple tricks, low-cost lighting and free software to improve picture quality. Below are my top five tips on on how we get our pictures looking as good as the food tastes. Continuing with our theme of buffalo inspired meals, I made a triple buffalo pizza using strips of buffalo minute steak. Combined with sliced buffalo tomatoes and buffalo mozzarella and topped off with fresh basil leaves (that may have been near a buffalo at some point), this was one seriously tasty and good-looking pizza! 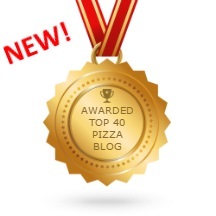 I am thrilled to announce that The Cook’s Digest has been honoured for our contributions towards the pizza food scene, following on from our award a year ago for Vietnamese food blogging. Once again, the good folks at feedspot.com have recognised us as a major contributing to all things pizza! Whilst staying in Yellowstone National Park, we had the pleasure of enjoying a delicious bowl or three of smoked bison chili. It was absolutely delicious, the meat and sauce had a richer flavour than beef chili dishes I had previously tasted. After a bit of research back at the home ranch, we came up with our own version using buffalo and cooked up some tasty buffalo chili with roasted tomatoes. We discovered salt ‘n’ vinegar chicken wings whilst on holiday in the USA. It seemed like a crazy combination, but throwing caution (and a couple of dollars) to the wind, we gave it a shot. They were delicious, a superb fusion of classic British fish ‘n’ chip flavours with American cuisine. With the summer well and truly in swing, it’s time to BBQ some awesome meals in the glorious sunshine. This ranch dipping sauce with gherkin takes standard sauces up a few notches, and is perfect for ribs, chicken wings and grilled vegetables. It’s even great with cod goujon! I’m a sucker for great pizza! So many different combinations of toppings and sauces, whether it’s steak and mushroom with BBQ sauce or a vegetarian pizza with passata. Endless possibilities. Yet my tried and tested pizza dough recipe has remained the same … could that be improved? Yes, that’s a picture of the moon, taken by my wife earlier in the year … I’m going strictly off-topic with this week’s blog post. And if you’ve got a cellphone you could take shots like this too. All you need is a pair of binoculars (monocular and spotting scopes also work) and a handy little gadget and hey presto, you’re digiscoping!